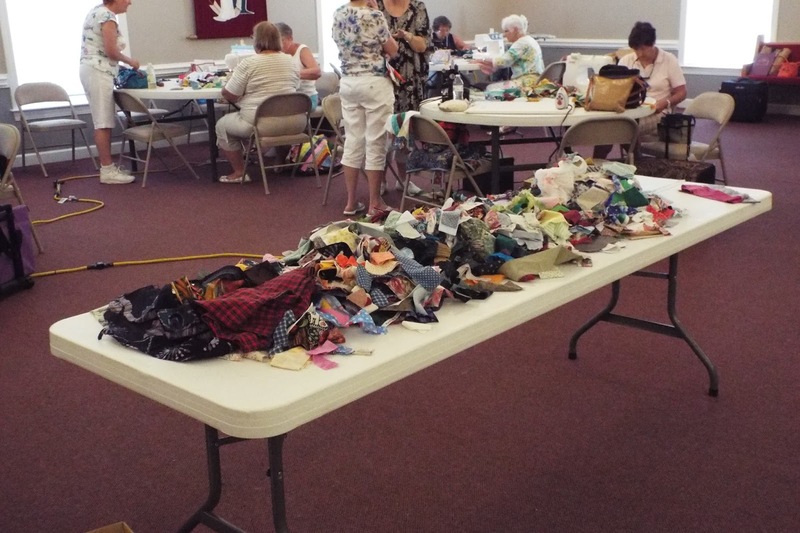 Yesterday was our community outreach workshop at the guild. We worked on the firehouse quilts. Brunswick County has now required the main firehouse in each district to be manned 24 hours. That means there will be three people sleeping there at night. We decided to make quilts for those beds. So we have been busy strip piecing blocks to get these done. This is what we started with. Well actually I didn’t get the picture taken before the girls started going through the strips. This is what we ended up with. 97 squares. 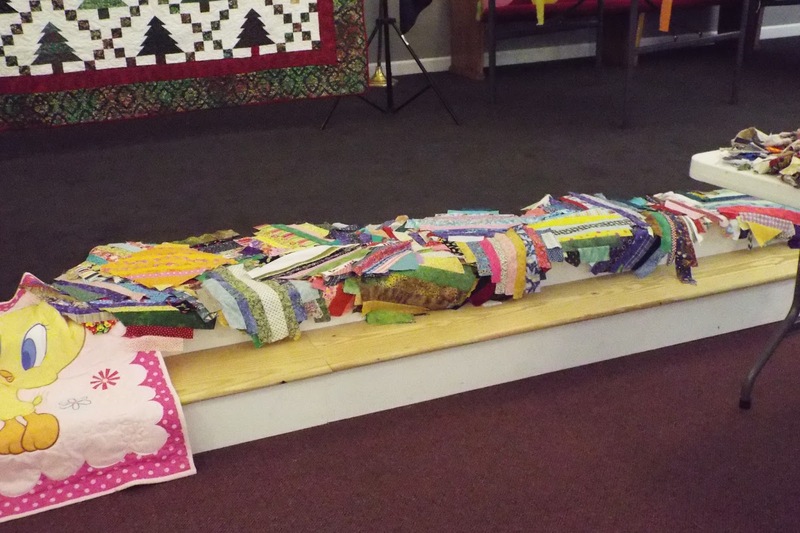 There were also completed quilts turned in by some of the girls. 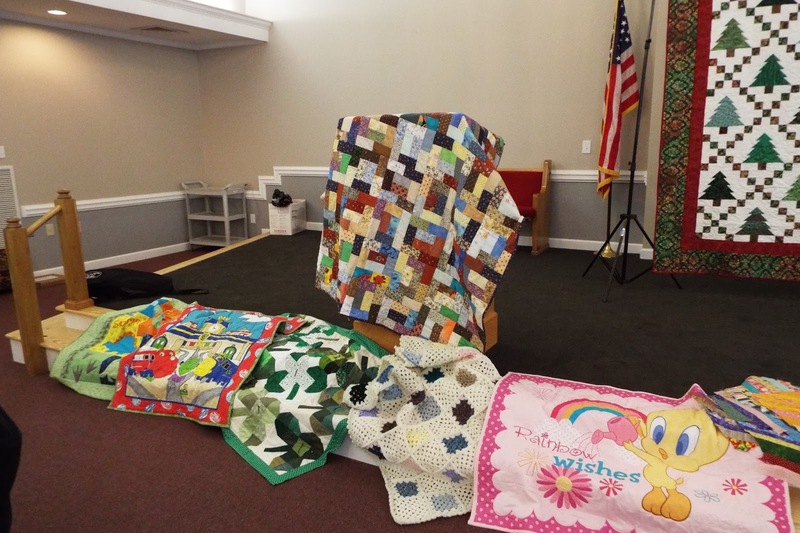 Three baby quilts, two quilts for the nursing homes and one for our teen emergency center. We had a great day. I also delivered 18 baby quilts to the hospital and there will be five more this week. We are so blessed to be able to meet at the Presbyterian Church in town. The room is big and bright. We have access to a full kitchen that we use several times a year for celebrations. And the best part is we have the nicest members you could ever find. 🙂 I just finally got a good picture of our 2015 Raffle Quilt. 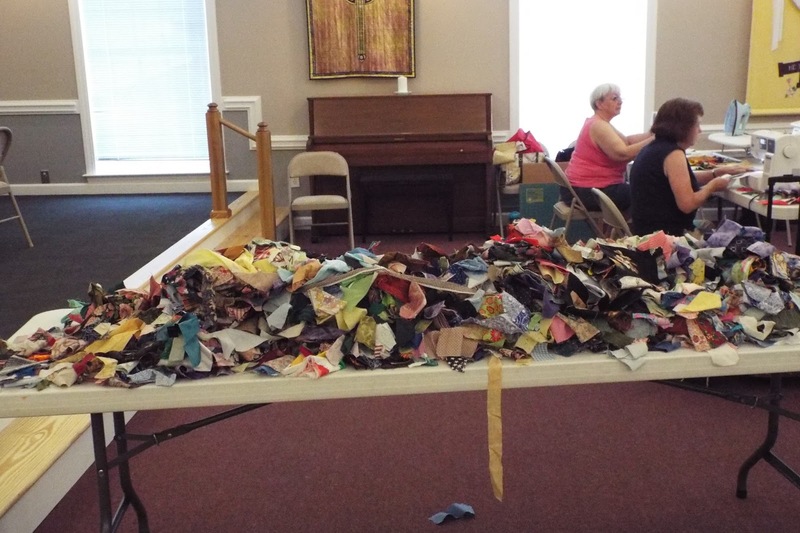 It was made by all of our members. Isn’t it beautiful? 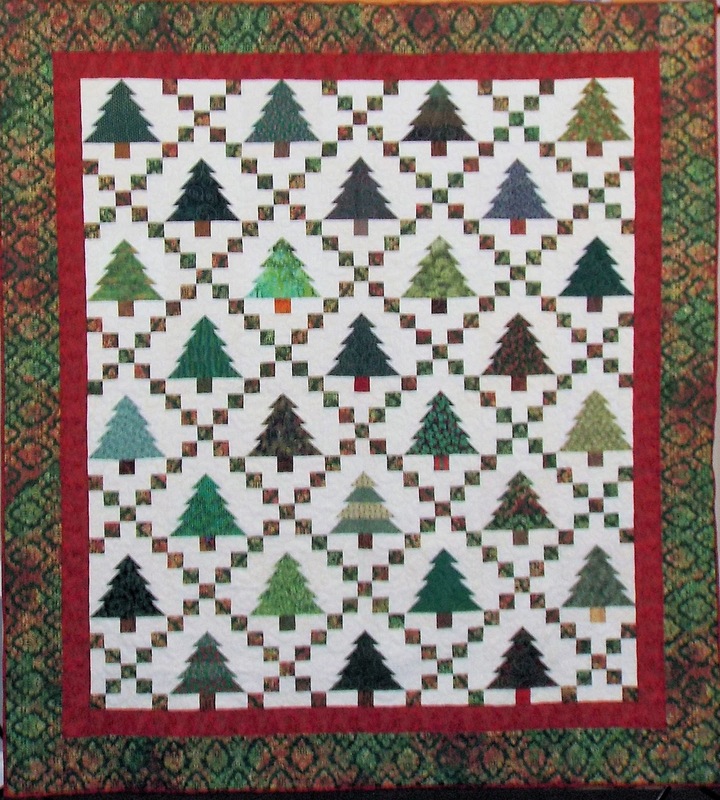 I love Christmas quilts. Maybe I’ll win it, well I can hope.